You read that right! Our pizza deal is back with new puff crust and it is better than ever. We've slashed the prices on our best selling pizza deal! Our best pizza deal just got better! Have it delivered to you today! 2 sides from as low as RM10 only! 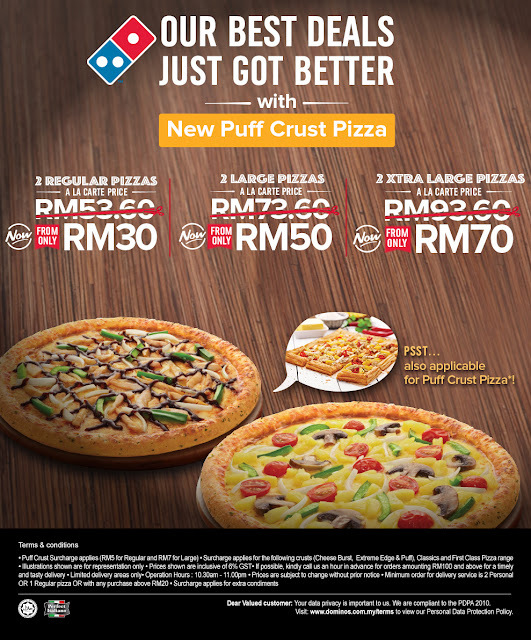 Order our 2 Pizza Deal and get 2 sides from as low as RM10 only.